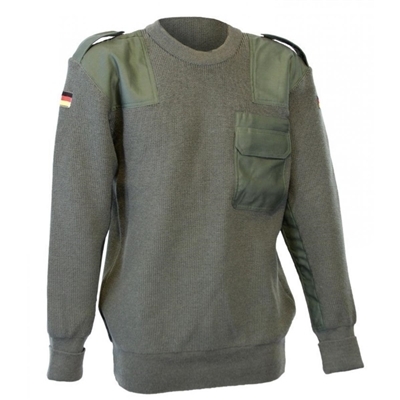 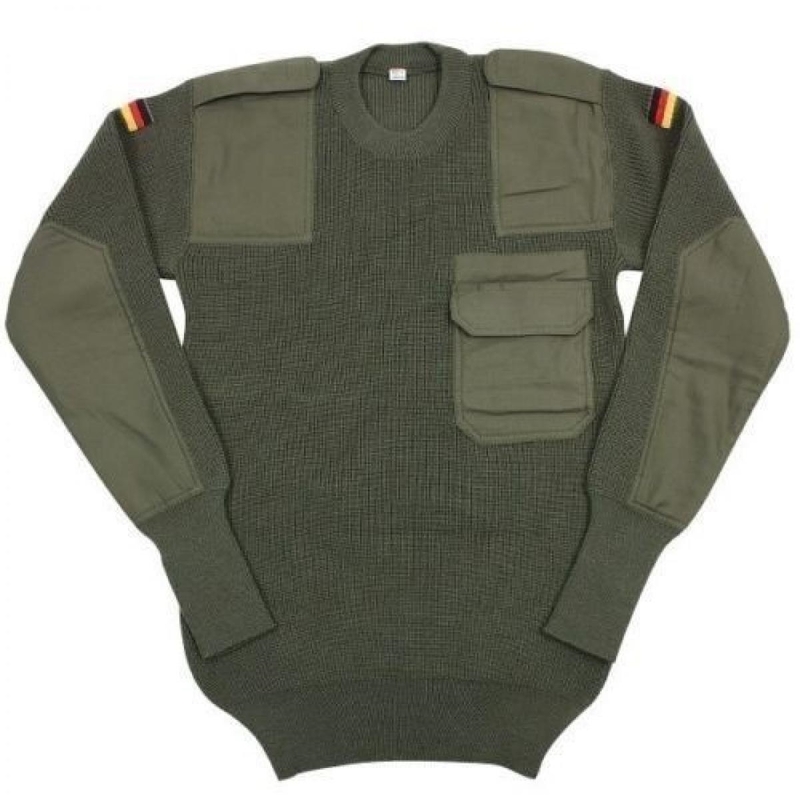 These brand new German Army Commando Sweaters are very warm and stylish. 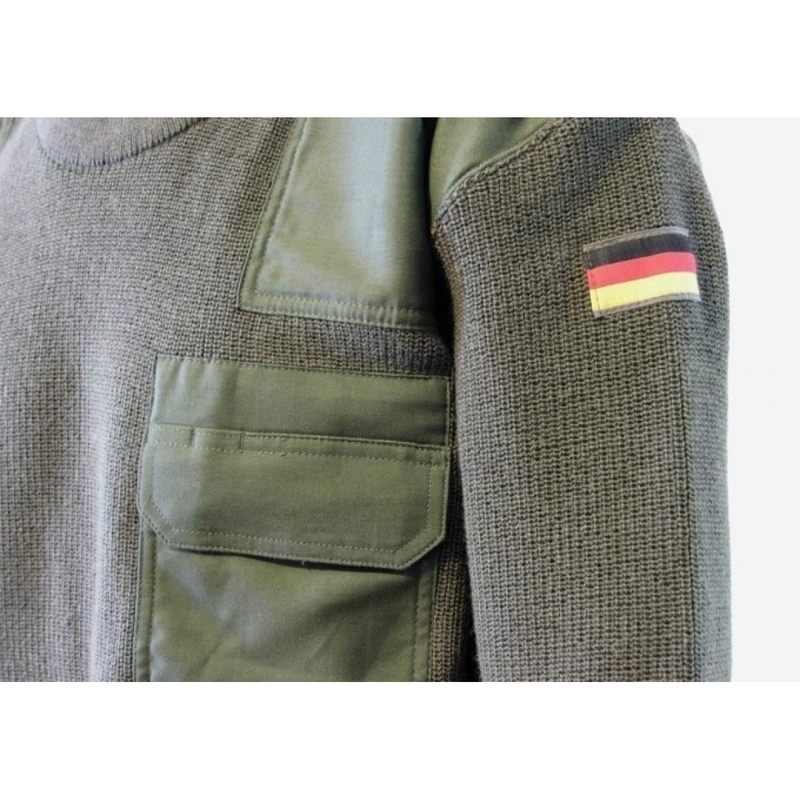 They are made of 80% wool and 20% Polyester. They are double cuffed and they have one chest pocket, elastic waist band, and the shoulder epaulets with the German flags.